Delacorte Press Books for Young Readers, 9780385741859, 258pp. For Joshua Dread, middle school is proving to be, well, awkward. Not only do bullies pick on him, but do you see those supervillains over there trying to flood the world? The ones that everyone, including his best friend Milton, are rooting for Captain Justice to take down? They're the Dread Duo, and they just happen to be his parents. As if trying to hide his identity wasn't hard enough, Joshua has started leaving a trail of exploding pencils and scorched handprints in his wake, and only Sophie, the new girl in town with a mysterious past, seems unsurprised. When a violent attack at the Vile Fair makes it clear someone is abducting supervillains, and that his parents may very well be next, Joshua must enlist both Sophie and Milton's help to save them. 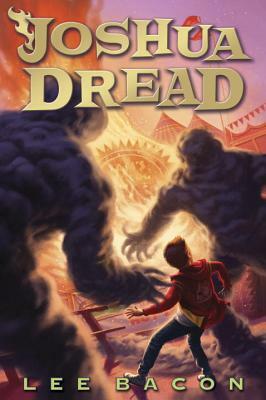 Well-written, fast-paced, and remarkably funny, Joshua Dread is the first in a series that will appeal far beyond its target audience. LEE BACON grew up in Texas with parents who never once tried to destroy the world (at least not that he knew of). He currently lives in Brooklyn. This is his first novel.